Ambient Heating & Air Conditioning is a full service HVAC system specialist, supplying HVAC services to commercial businesses and residential homes of Hampshire and Hamden County, Massachusetts. We are fully licensed and insured to incorporate fast, friendly and professional care while we execute superior services. With the aid of advanced, high-quality equipment and tools exclusively offered to licensed professionals, Ambient Heating and Air Conditioning technicians add their expertise and skills do deliver premium results. 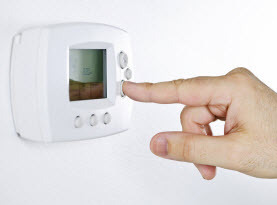 Ambient Heating & Air Conditioning air conditioning services for both commercial and residential customers in Hampshire and Hamden County, Massachusetts can consist of installation/replacement, emergency repairs, inspections, maintenance, tune-ups, troubleshooting, and more. 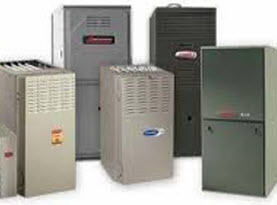 Ambient Heating & Air Conditioning commercial and residential air conditioning replacement and/or installation are conducted by our experienced professionals. 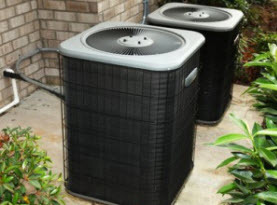 Your Hampshire and Hamden County, Massachusetts home and business needs an air conditioning fit to size of the square footage of the building, along with a unit having important attributes such as; energy efficiency, adequate cooling capabilities, and long lifespan with durability. Our experts find the perfect air conditioning unit right for your home or business’s needs as well as something that fits your budget. With Ambient Heating & Air Conditioning performing the installation, you can rest assure it is done competently. Hampshire and Hamden County, Massachusetts commercial businesses and residential homes require regular maintenance for your air conditioner, Ambient Heating & Air Conditioning comprehensive maintenance service covers all the basics and more. With routine maintenance you can increase the longevity of your air conditioning unit, along with minimizing malfunctions and preventing major issues from manifesting. 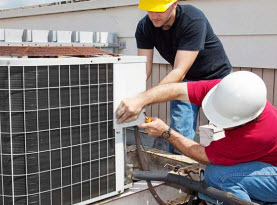 Ambient Heating & Air Conditioning air conditioning inspection service can better protect your air conditioning unit in Hampshire and Hamden County, Massachusetts from unexpected problems and keep it working at maximum efficiency. Like most appliances, the air conditioner is made up of parts, components, and gadgets in order for it to function. When the smallest detail is faulty or out of harmony with the air conditioning unit, it continues to escalate into larger problems and unchecked a complete problem that cripples your unit can occur. With a simple annual inspection your air conditioner in your home or business can avoid major catastrophes. Ambient Heating & Air Conditioning understands that homes or businesses throughout Hampshire and Hamden County, Massachusetts can experience unexpected dilemmas, at usually the most inconvenient of times. We offer emergency air conditioning repair services to rescue the unfortunate homeowner or business owner facing such a problem. Most often than not, repairs are an emergency issue regarding the air conditioning unit, Ambient Heating and Air Conditioning professionals are equipped to repair the air conditioning unit for your emergency. With Ambient Heating and Air Conditioning servicing Hampshire and Hamden County, Massachusetts homes and businesses with our air conditioning services, your units are in the best capable hands. Our dedication to upholding high morals standards, family-friendly customer service, and superior execution in all air conditioning services rendered, we will be your HVAC system specialists for years to come. Contact us for all your air conditioning needs!